Tens of thousands of Christian families with children have escaped the attacks of radical Islamic groups in Iraq and Syria. Many thousands of Iraqi Christians are displaced and living in Kurdish areas of Iraq in temporary camps. Hundreds of thousands more have fled to Jordan and Lebanon. Mostly well-educated and middle class, they now live in basements or open fields, too fearful to enter United Nations run camps where they are further persecuted and brutalized. Inside Iraq and in Jordan displaced Christians are ignored by the Islamic run charities. There are so many Christian refugee children that we cannot help all of them, but we can make one special day brighter for thousands of them by arranging a traditional Christmas day of fun and good food. In 2013 and 2014, Christmas events that included hot meals were served to Christian refugee children in Jordan and Lebanon. In 2015 the program was expanded to Christian IDP’s (Internally Displaced Persons) in Iraq who fled the Islamic State as the city of Mosul and Christians villages nearby were overrun. Much of the Nineveh Plain was also stolen from Christian families who fled to the Kurdish areas in the northeast. In 2016 the number of children served increased. Christmas for Refugees is much more than one hot meal at Christmas. 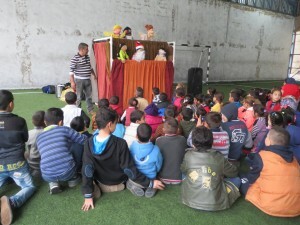 The many hours long program includes a warm place to stay for a day with Gospel themed plays and puppet shows along with games and traditional Christmas songs. Gospel themed coloring books and work books are supplied to the children and in some cases Arabic language picture Bibles. Each child takes home a gift box for themselves and their family. 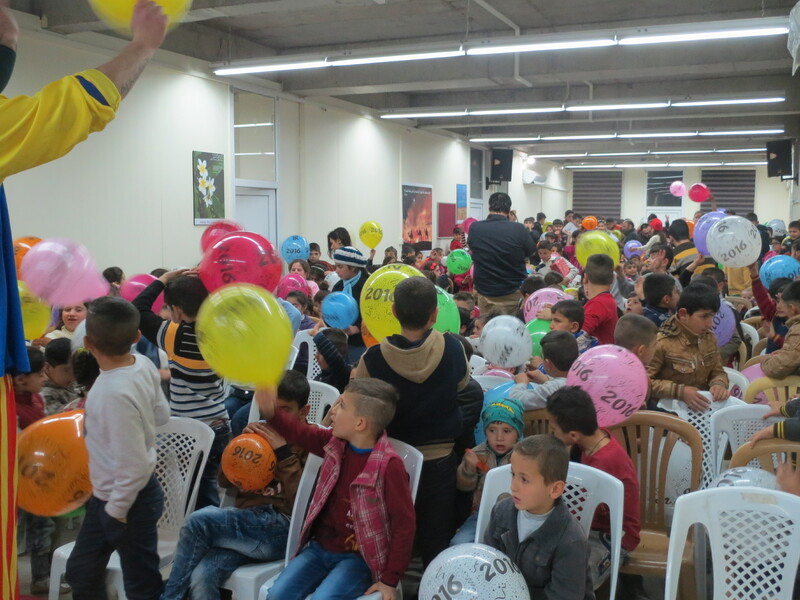 I was personally present at as many of the Christmas events in Jordan, Lebanon and Iraq in 2015 as was possible, and I saw the joy on the faces of these refugee children as they were able to forget their dire circumstances for a few hours. In 2016 The Christmas for Refugees program will invite as many as 6,000 children between the ages of six and fourteen to a day of hope in the celebration of the birth of our Lord and Savior. Please join as a partner in bringing hope to Christian children being deprived of their childhood by a war being waged on them by the Islamic State, al-Qaida and other armed Islamic groups. Video below includes clips from events in Iraq during our Christmas program there in 2015.